United States of Kurdistan: Turkey Move to Kill Abdullah Ocalan! The Turkish authorities have taken an extraordinary step towards killing the leader of the Kurdish Freedom Movement, Abdullah Ocalan. There is a dark and murderous plan that is unfolding on Imrali Island. Since 1999, when Abdullah Ocalan was kidnapped and handed over to the Turkish authorities by a unified plot by US and others, he has been incarcerated in what the CPT condemned when they visited his prison cell in 2007. The Turkish authorities have now began the final stage in the death of the leader of the Kurdish Movement. A death that would leave the Kurdish Freedom Struggle without a leader at the very time when such a leader is needed. And there is the motivation for killing him. The Turkish psychological warfare department is moving in darker and more malicous ways than previously and this time the very life of the Kurdish leader is at stake. Conditions, far from getting better, have got worse and the prisoners who have been moved to Imrali are probably state informers and provocetors, none are known to the Kurdish Freedom Movement as close to Ocalan. In fact one of them is an ex PKK'er, one an apparent member of an extreme left wing group and the others did not want to be moved to Imrali. The Kurdish Movement have responded already to these onimous events and young Kurdish youth are on the streets already. It is the International Community that now need to respond by demanding that this threat to the life of Abdullah Ocalan is taken seriously and that all steps are taken to avoid his murder by the Turkish State. The future of Turkey and the entire region is dependent upon this. Should Abdullah Ocalan be removed by murder the consequences are so dire for all that it should not be allowed to happen. PLEASE TAKE ACTION TO AVOID THE MURDER OF THE KURDISH LEADER ABDULLAH OCALAN! The Turkish state and the government has long promised to the European Court and the European Committee for the Prevention of Torture, CPT, to change the brutal isolating conditions that has been held towards the Kurdish PKK leader Abdullah Ocalan during eleven years on the Imrali island prison in the Sea of Marmara in Turkey. This gave us hope that the isolation would be removed and that Ocalan's right to life and his human rights would be respected. According to reports from both the CPT and the European Court, the condition Ocalan lives in is a clear violation of all international laws regarding the respect of a prisoner, his human rights and human dignity are therefore not reasonable. The report presents that the Turkish state has set up a new prison, which Ocalan was transferred to on Tuesday 17 November 2009. According to the Turkish Justice Minister Sadullah Ergin, nine other prisoners from different prisons around the country will also move there so that Ocalan will not be the sole prisoner on the island of Imrali. But no trace of this change has until now been recognized. Ocalan is still the only prisoner in a prison which is ten times more isolating and the conditions which he lives in are much more inhumane than the previous prevailing conditions. Although the Turkish Ministry of Justice indicate that obvious changes have been made at the newly built prison on the island in order to improve the living conditions of Ocalan, the reality is quite the opposite. In the new prison and in the new cell which Ocalan is in, much worse conditions exist compared to the previous prison he has been held in. Ocalan’s new cell is only six square meters, while the previous cell was 13 square meters. The air conditioning is much worse than before, which leads to big difficulties in absorption of oxygen. The window is also extremely worse. It is constructed upwards and no oxygenated fresh air is let through. 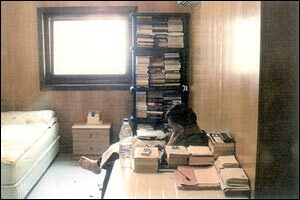 Its design prevents Ocalan from having a view of the outside world and the daylight that comes in from the window is very hot. 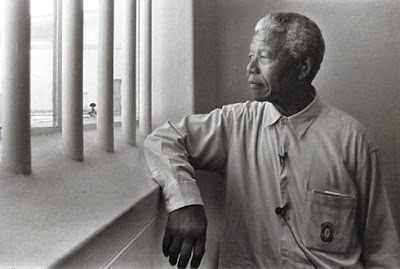 "My new cell is half the size of my old cell and consists of six square meters. The air conditioning here is also much worse. In order to be able to inhale and exhale air, I must stand by the window and open it. The window here is built upwards and I have no view on the outside world. The only thing I can behold is the sky. When I have to open the window in order to get oxygen, the sun burns me greatly. Even though the heat from the sun is so unpleasant, that I feel like I will get a heat stroke, I am forced to stay by the open window in order to get oxygen. I have very severe breathing problems here. " "In the name of improvement clear deterioration has been made. The cell that my brother now is living in is a room of six square meters, but the former was thirteen square meters. The air conditioning is significantly much worse and my brother has great difficulty in inhalation and exhalation of air. Ocalan said during the meeting to us that he feels that he at any time will be suffocated and that every time he tries to inhale air, it feels like his guts are coming out of his body. My brother was also subjected to solitary confinement during our meeting with him. Previously, the distance between him and us was ten metres less when we met him, but now Ocalan was buried in a cage of glas and the distance between us was thirty metres. We had to yell to hear each other. This was the worst meeting and the worst state we have seen him in during the ten years which Ocalan has been held in a Turkish prison. 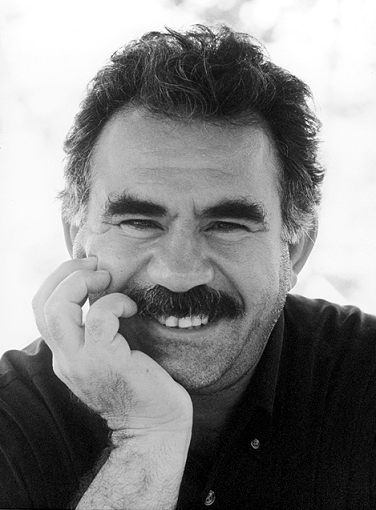 As Ocalan's family, we strongly protest against the Turkish government's actions against him. 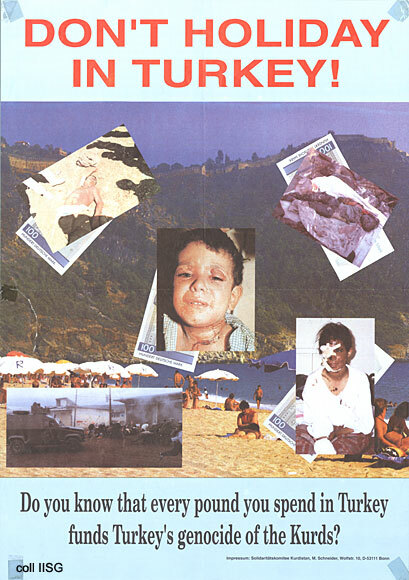 His deteriorated condition and state create considerable concern for us." 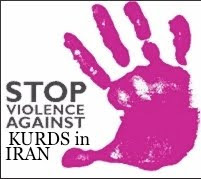 We, the Kurds in the Diaspora and Kurdish friends, would like to turn to Amnesty International & European Committee for the Prevention of Torture, CPT and all organizations which have the objective to work for humanity and human rights and we appeal for your humanity and your human attention on this serious issue. The above mentioned factors all point to a system, which is twice as much worse isolating and painful, has been established at the new prison. This has occurred despite CPT's demands for improvement of the conditions. In Amnesty International reports the case has been highlighted a number of times in the past and even the organization has made an appeal that the social and psychological isolation, which Ocalan is subjected to, should end. Amnesty International has clearly expressed criticism against the CPT's latest report, which was published on 6 March 2008 and held a number of softer emphasizes against Turkey, on the case where it was revealed that Ocalan has been poisoned. Amnesty International had through their head office in London stated that the European Committee for the Prevention of Torture, CPT, was vague and weak in their indications and pressure on Turkey concerning the treatment and the poisoning of Ocalan. According to Amnesty International reports and international criteria, isolation is an extensive and dangerous crime of a man's physical and mental well-being. That a country like Turkey, who has signed on most of the European criterias and laws for a humane treatment of detainees in prisons, promising to improve Abdullah Ocalan's situation and living conditions, but are instead doing the exact opposite, is both appalling and unacceptable. We hereby demand that Amnesty International and mainly that the European Committee for the Prevention of Torture, CPT, give attention to the case and that you put this on your agenda. We demand you to initiate immediate efforts and that you take actions against this brutal decomposition, where the aim is to slowly break down Abdullah Ocalan and thus conduct him into a life-threatening health condition - both mentally and physically. We demand that a delegation from your organizations visits the Imrali island prison in Turkey in order to follow up and to pay attention to the new changes that have been made. We demand CPT, who are responsible for this situation, to take their obligation, to fulfill their responsibility and to defend the rights the committee themselves have guaranteed. Read Abdullah Ocalan's words on his health conditions here. 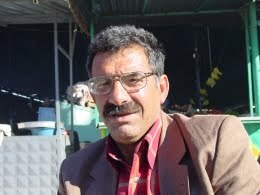 Sign the Petition for better living conditions for Abdullah Ocalan here.